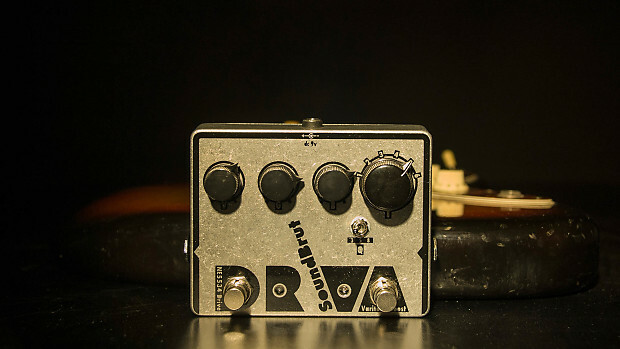 DRVA incorporates two individually selectable effects. 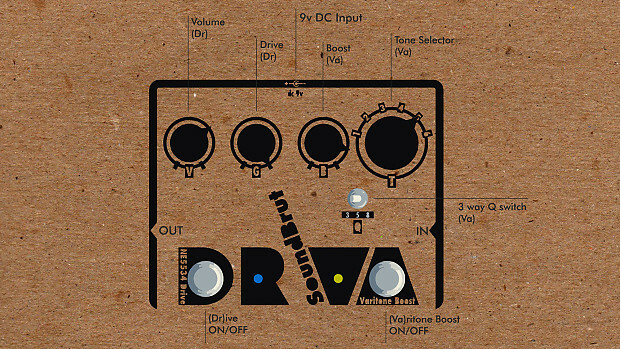 DR is a hard-clipping drive fueled by a NE5534 op-amp, controlled via volume and gain knobs. VA is a MOSFET boost with a custom tone stack, controlled by a boost knob, 6-way tone selector and 3-way EQ depth selector. Both circuits can be operated individually or together. The signal chain is fixed: Input --> VA --> DR --> Output. VA boost is specifically designed to be used anywhere in your signal chain. Our custom built and tuned Varitone circuit has a 6way selector for 6 different capacitors. Together with a 3-way Q switch acting as a master EQ-depth selector, this circuit has 18 different tone presets. In any setting, VA creates a full and well-balanced sound. Even though technically this is not a clean boost, VA respectfully enhances the harmonic content of your guitar. If the boost is kept at unity, the pedal adds subtle character and push. Turn the boost all the way up, VA adds weight and loudness. 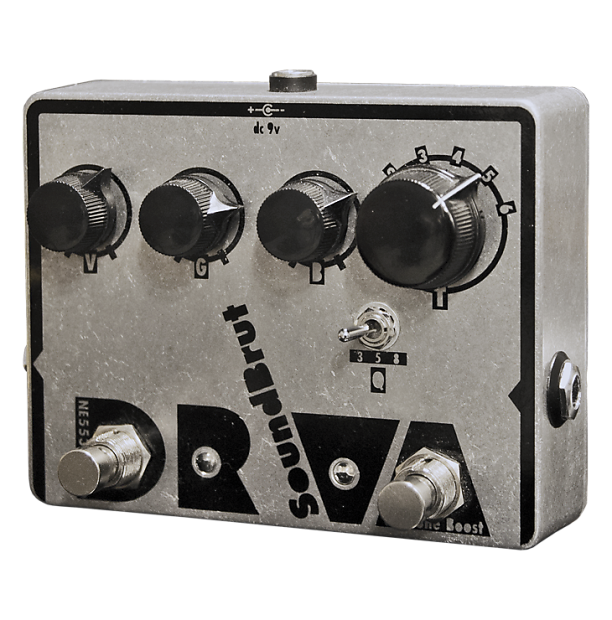 DR is a hard-clipping overdrive that celebrates the natural structure of your sound while maintaining an airy open tone. NE5534 op-amp provides a low noise, high-performance amplification with a wide bandwidth. Even at high gain settings, DR creates well defined and rich tones. Finally, if you turn both sides on, VA feeds into DR creating further gain and tonal structures. 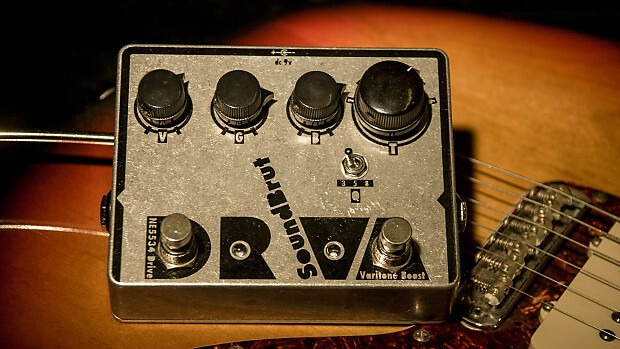 This way, DRVA pedal can go from subtle harmonic boost to full-on fuzzy overdrive with 18 different voicings.